This post is not related to ICT in the Classroom but close to my heart and to do with community outreach at school. 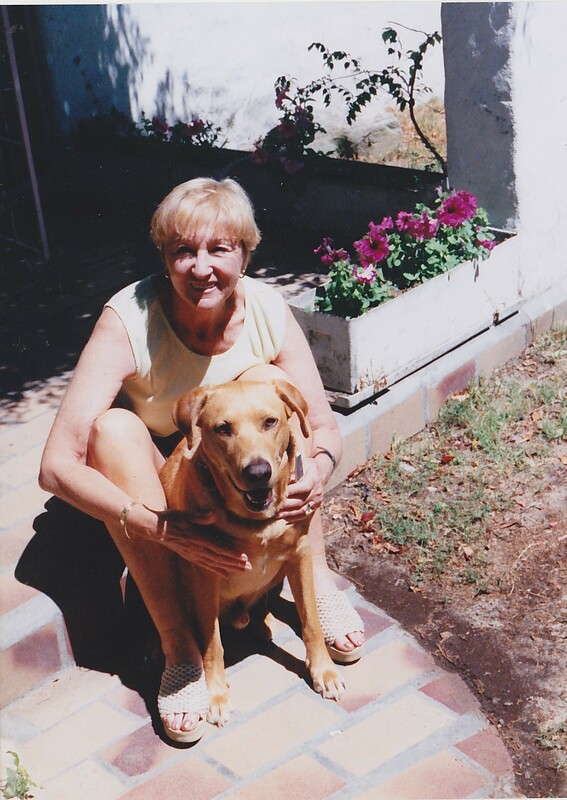 It is dedicated to my Mom [Wendy, my angel] who spent the last two years of her life at Vue da Cap Frail Care in Table View, under the rapt care of Sister Kathy. During my mom’s deterioration with cancer, we used to build puzzles with her as a family [the nurses at the home also got involved]. There are many memories of these times together. Our immediate family would visit her at different times throughout the day and night and complete a piece of the puzzle together with her. We would argue about finishing a particular part of the puzzle and sometimes were annoyed that the puzzle was finished before we could get our hands on it. These moments brought us together as a family and we helped each other with parts of the puzzle we could not find or fit in. Even when my mom was too weak, could not use her hands to place pieces onto the puzzle, or be in the same space as us we still had many a laugh and precious moments together. Whilst our family arrived and left each and every visiting hour, I always noticed so many of the aged in wheel chairs at the front of the frail care or in their rooms without visitors – and wondered why families did not take the time to visit these wonderful people who gave so much of their lives to family and / or children. So, my tutor group – consisting of fifteen Grade 8 girls have decided to collect unwanted puzzles and donate them to Frail Care Centres and Retirement Villages. 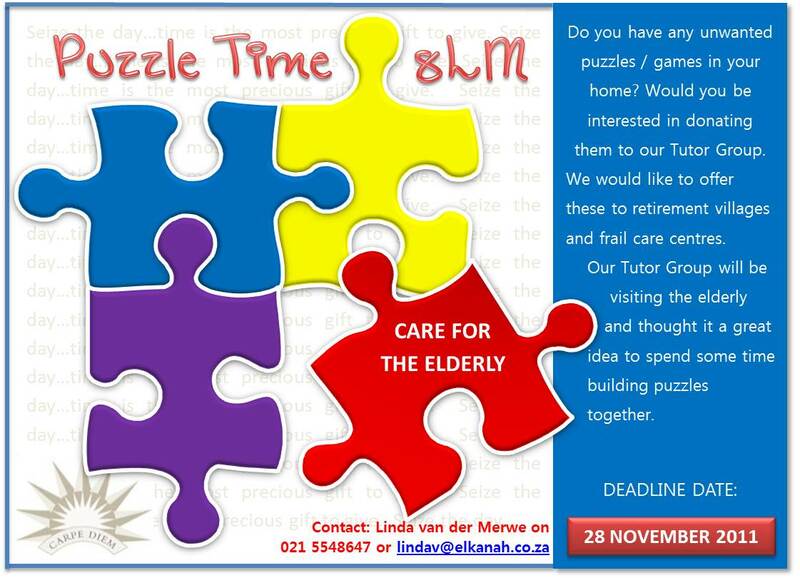 We will spend some time with the aged building puzzles together. If you would like to contribute any unwanted puzzles or games, please contact me!